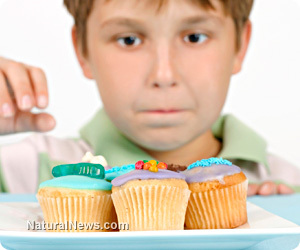 (NaturalNews) People who prefer to sweeten their foods do not have to rely solely on refined sugar or artificial sweeteners to accomplish the task. There are several sources that produce the sweet taste many people crave without adding the calories most people are constantly trying to avoid. The important thing when trying to find a natural sweetener is to look for those that offer other benefits in addition to their sweet flavor. Stevia can be purchased in both powder and liquid forms. It is approximately 200 times sweeter than regular table sugar and can be used for cooking as well as a sweetener for beverages. It has no calories and, unlike artificial sweeteners, does not produce unpleasant side effects. Stevia works well for diabetics, because it does not have a dramatic effect on blood sugar levels, like other sweeteners do. Maple syrup is similar to white sugar in composition. Approximately two times sweeter than its refined counterpart, maple syrup comes from tree sap that is boiled down to remove excess liquid and concentrate the syrup so that the flavor is much more pronounced. Boiling maple syrup down to a thick liquid is similar to the same process used to make molasses. Maple syrup is characterized by its deep golden color and its thick caramel flavor. Honey acts just like sugar when consumed. The main difference between honey and basic table sugar is what it contains. Refined white sugar has little nutritive value and an excessive amount of calories. Honey, on the other hand, contains a similar amount of calories but is much sweeter than sugar and has a host of nutritional benefits. It is one of the few foods on Earth that contains a small amount of every trace element found in foods. It can be used in cooking much in the same way as refined sugar and brings with it more flavor. When used in beverages like smoothies and shakes, it also improves their consistency. Sugar alcohols are commonly found in foods for diabetics where any form of actual sugar can cause a diabetic reaction. Sugar alcohols are much more potent than refined white sugar and much less has to be used to achieve the desired level of sweetness. Erythritol and xylitol are both low-calorie sweeteners that are considered to be sugar alcohols. While they both occur naturally in fresh fruits, most of what is used as sweeteners are manufactured using industrial methods. For people who are trying to lose weight or who must strictly control the amount of sugar they consume due to diabetes or other health issues, natural sweeteners are available. Knowing what type of sweetener works best with each food and which one will provide the desired flavor is the key to achieving the right taste.